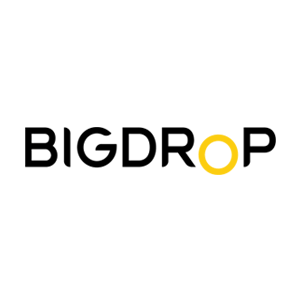 Headquartered in New York City, Big Drop is a full-service digital agency. Our clients are true partners, and our practices are built around results and ensuring that our end solutions are built for the future of digital. We bring a personal touch, and the utmost professionalism and care are devoted to each project. We know that each project and client is unique and their marketing should be, too. We seek to achieve a balance of elegance, character and individuality, and create a digital experience that will propel our clients into the future. We are proud of our many years of industry experience, ranging from small scale websites to multi-faceted shopping experiences and multilingual platforms. We finally shifted from company to an agency, finalized an internal restructure and build ground for scale in 2019. We split our team into separate business units to provide full-service packages for our clients. This split also required a restructuring of management to better supervise the separate units and align our business and our clients’. We are moving into 2019 new high-quality services and with few more Fortune 500 clients and awards under our belt. No disappointments at all! Different teams use different approaches depending on the client needs. In production, we use waterfall, agile and hybrid methodologies to stay flexible with a concentration on efficiency. Knowing what works for each team makes it easy to decide. The typical process starts with research and calls with stakeholders. Aligning our team and our client so that everyone knows what we are doing, why we are doing it, and so we can transparently plan our execution before we begin. Our work includes but is not limited to: UX, Analytics and SEO analysis, Sitemap planning, User stories, any other documentation essential to be able to verify success at the end of the development. After that depends on the scope of each engagement.  We provide various services including Marketing, Branding, Web Design, Web Development. Having frequent check-ins with each client, it is easy to assure we are moving into the right directions and it is easy to add small changes without rebuilding everything. The last phase is release, which begins with final tests and verification on a staging server first and post-checks after the client decides to go live. When it comes to engagement models, especially dealing with larger organizations, we can come up with Fixed, Time and Material, or even Dedicated Team when it comes to a broader engagement. Our education process and supporting documentation helps potential clients to understand the differences in the processes while showing value before we start the engagement. The more services you start providing, the more expertise is required. In 2018 with the shift to an agency we experienced more horizontal expansion, which required more talent and keeping the existing team growing. That sets the ground for vertical growth in 2019. Solutions built to solve team communication and collaboration between different departments and services. Having our Marketing, Creative and IT teams collaborate at max efficiency will help to minimize expenses and speed up delivery for our clients. The value of having these systems, especially for large organizations, is hard to express. Technology-wise it is growing fast and we have to be smart and find the comfort zone between innovation and established/tested solutions that are working for our clients. The same question about how to grow, vertical or horizontal? There will always be change on the technology side. Whether it’s React, Node, or the next programming language, and we always educate ourselves and incorporate new technologies as needed. As technologies allow us to create applications for both web and mobile using the same language, we can more quickly enter into prototyping and make changes to products using fast-moving methodologies like Agile or Feature-Driven-Development to collaborate with our clients and create MVPs that best reflect both of our visions. Project Management and methodologies. It is essential to have a talent and expertise, but a successful agency needs to have multiple stakeholders across various teams work in unison to achieve project goals on time and with the best quality. If you think about any research is a lot of DATA at the end. In our opinion DATA is the way to bridge any gap. The value of the research been highly underestimated and bringing research firms to bear on the subject can only generate better understanding and future benefits.